The play is a shoulder hit with respect to . It is a sly move. The main purpose of the move is reduction, i.e. 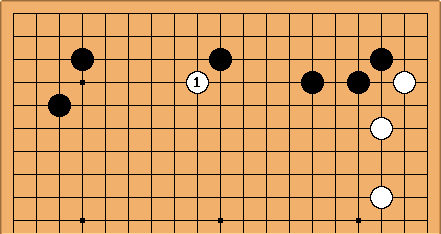 decreasing the potential territory of the opponent. And the main advantage of the move is that it is not easy to catch or cut off this stone. 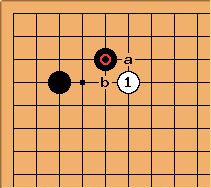 Black can choose between playing at a or b. Each choice has its advantages and should be considered depending on where the shoulder hit happened. 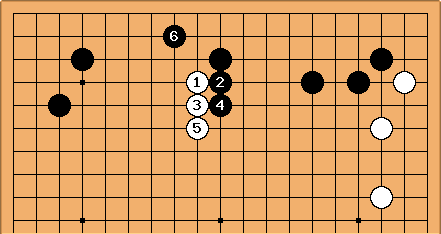 White managed to reduce Black's framework to the left.